The word “Doula” comes from ancient Greek, meaning “Woman’s servant.” Throughout history and in much of the world today, a care of women support a woman through labor and birth, giving back rubs and providing continuous emotional support. Like their historical counterparts, birth doulas know how to help a woman in labor feel better. However, today’s doulas are much more diverse than their predecessors. This scope of professional support includes men and women from a wide range of ages and cultural backgrounds. How can having a Doula help my labor & birth? 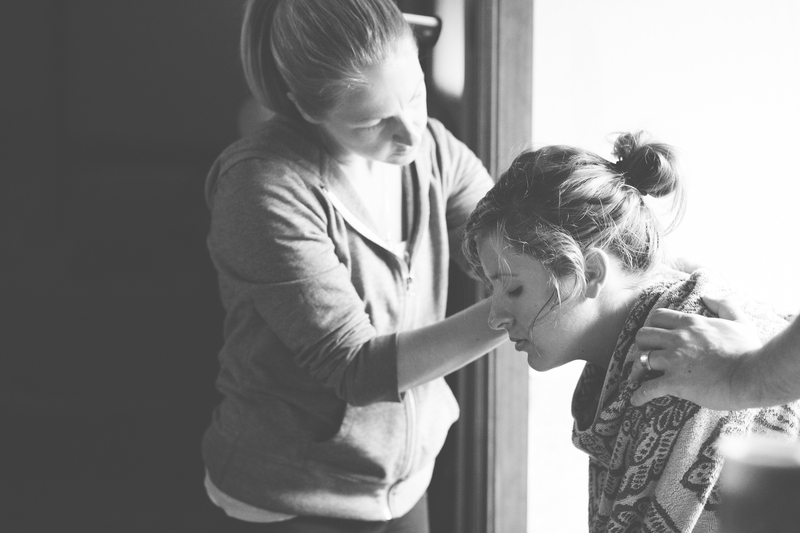 How does having a Doula help me (the mother)? When a Doula is present during and after childbirth, women report greater satisfaction with their birth experience, make more positive assessments of their babies, have fewer cesareans and requests for medical intervention, and less postpartum depression. Reports also show a better start to breastfeeding. I have an OB/Midwife/RN/Midwife Assistant/Mom/Sister, why do I need a Doula? Doulas do not replace Sister, Mothers, Care Providers, Nurses or other medical staff. Doulas do not perform clinical or medical tasks such as taking blood pressure or temperature, monitoring fetal heart rate, doing vaginal examinations or clinical care. They are trained, experienced, professional, continuous and consistent support there to comfort the Mother and Partner to enhance communication between the mother, her partner, family and the medical professionals. They often have excellent working relationships with your care team and are familiar with your place of birth and the medical staff. They work only for you (the family), not the hospital or care provider and have only your interests in mind. Plus, there are no shift changes! A Doula is supportive to both the mother and her partner, and plays a crucial role in helping a partner become involved in the birth to the extent he/she feels comfortable. A Doula often helps facilitate the laboring relationship between mother and Partner; instilling confidence in the partner and his or her ability to provide emotional and physical support being a “tag team” of sorts ensuring the laboring mother is supported in the best way possible. Besides, Partners have to eat, sleep and use the restroom too! A Doula does not make decisions for clients or intervene in their clinical care. She provides informational and emotional support, while respecting a woman’s decisions to birth as she desires.